Outdoor Knives,Fillet Knives,All (Outdoor Knives). 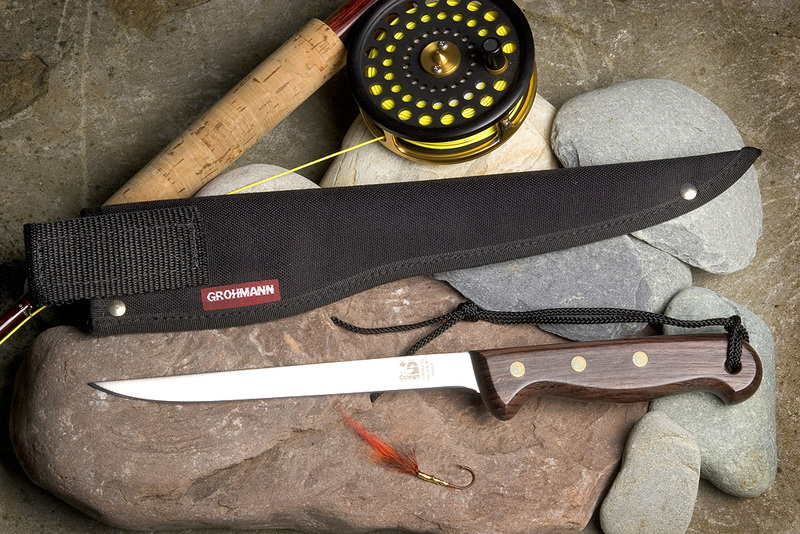 Responding to the needs of the fishing industry and to meet the individual requirements of each sport fisherman, Grohmann has designed a lightweight, durable, yet beautiful fillet knife in four handy blade lengths: 5", 6", 7", & 8". These are from our Good quality Regular Rosewood partial tang line. Exotic plantation grown polished Rosewood handles, sturdy brass rivets (great for fresh or saltwater fishing), flexible, high carbon stainless steel blades.